Tryout season. Everyone’s favorite time of the year, when you can feel both extremely confident in your skills and hopelessly inferior in the face of stiff competition. Not to mention that your club team often determines your social group for the summer, or possibly even where you’ll be spending most of your time if you’re trying out as a travel player. 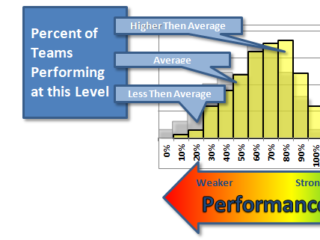 I felt and was made well aware of all of the above during this season’s tryout process, as I had an eventful six weeks trying out for multiple teams in multiple places. Since this was only my second season ever trying out for club teams, and the first year that I tried out for teams outside of Reno, it was daunting but exciting. My first tryout of the season was at the San Francisco Bay Area Women’s Mixer, one Saturday in March. Since I had classes in Reno on Friday, I planned to drive down Friday night for the mixer. The only problem was a cold late-season storm that rolled through and closed the pass down to the Bay most of Friday. My plans would have to change. Determined to attend the mixer, I drove down early Saturday morning so I could make it in time, even with snow still on the pass. After four hours of driving and some occasionally sketchy weather, I made it to the mixer with a half hour to spare! While I knew a number of people from my time playing club and college, I mostly just tried to blend in to see how things would go. With about 140 players of a range of skill levels, the mixer was a great experience, playing with and against many people I hadn’t matched up with before. I had some thoughts in the back of my mind going in that people would notice that I was trans and that things might be weird because of that, but there was little discussion of it besides when I brought the subject up, and I blended in like just another player. Being seen as just another player is a small thing but one I bring up because of its significance to me and the conversations about trans players. When I and others have talked about being trans women athletes, there’s usually some pushback from people who think trans women would be unfair in competition and dominate their cisgender counterparts. From my personal experience, this is not the case and will never be the case, and is something I think people should better understand. Trans women are women, trans people are people, and there’s nothing inherently unfair or wrong with us playing. The acceptance and non-issue of me at tryouts bears that out. 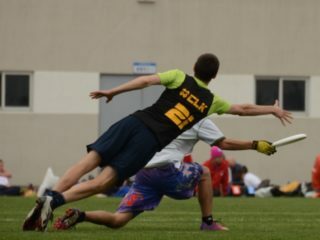 After the mixer, I was privileged to receive an invite to Nightlock Ultimate’s first closed tryout one weekend in April, which happened to be the weekend of college sectionals. Given that conflict, I informed Nightlock of my continued interest in trying out with them but my inability to be at the first tryout weekend, and they were understanding of the issue. So I got myself ready to compete with the UNR Women’s team for the rest of the college season, and didn’t think too much of the tryout process until the week of sectionals. Just a few days before the tournament, however, our team found out there was an issue with university funding and arrangements, so the team made a decision not to attend sectionals. We were heartbroken at this abrupt end to the season, especially our graduating players, who had their college careers cut short right at the end. There was at least club season to look forward to, though, and tryouts still to attend to. The late notice and change in plans made it impossible for me to attend Nightlock’s first tryout, but I was hopeful I would be invited to the second weekend of tryouts given the snafu with sectionals. However, that Tuesday I received an email saying I had been cut from Nightlock tryouts and would not be invited to the second weekend. I was upset and frustrated since I felt I hadn’t had a fair opportunity to be seen and evaluated given the logistical hurdles of being a travel player from Reno and the issues with the college team. Knowing that it was a long shot, but thinking it was worth a try, I reached back out to Nightlock leadership to request a second chance given the relatively unique situation I was in. They remarkably and graciously accepted my petition and extended an invite to me for the second weekend. While I realized that I might be re-cut after the weekend, I’d at least get my shot which was all I could ask for, and so I got ready for the next weekend in the Bay. Nightlock’s second closed tryout weekend was my first experience with a true tryout outside of Reno and I felt a bit overwhelmed when I first showed up. I recognized only a few people there, and I knew with the high level of competition of trying out for a Nationals-level team that I had my work cut out for me. But once again, like at the mixer, I was welcomed with open arms and without issue. The weekend flew by, with the sheer quantity of talented players making the biggest impression on me. While Reno does have its fair share of outstanding players, including all of my teammates on the Reno club mixed team, Cutthroat, the small size of the ultimate playing population puts a cap on how many high-level players there are. The Bay Area doesn’t have that problem, and the 30+ amazing women at the tryout were clear evidence of that. The next week after the tryout I received an email that I had, once again, been cut from Nightlock. With that, I ended my outside of Reno tryout experience. While not ending as neatly as I had hoped, I was glad to have even gotten the opportunity to try out with other teams and for the welcoming environments I experienced. My club participation wasn’t over at that point though, as I came back to Reno to play with my friends and teammates on Cutthroat. This year, we look to improve in our 3rd season and on last year’s inaugural appearance at Regionals. After tryouts were over, I took some time to reflect on my experiences and had a few takeaways. One thing that I’ve noticed is how tight-knit ultimate communities can be, which can be good and bad. While coaches, workshops, and such are often readily accessible in larger ultimate communities, smaller communities can sometimes struggle to establish consistent coaching and networks for development. The social aspects of ultimate bear this out as well, because the bonds in ultimate communities can make them feel like family but can also make them hard to break into for outsiders. 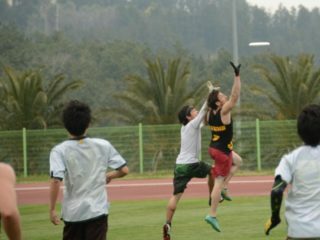 From my own experiences, I was never really part of the “ultimate community” until I came out and started talking about my experiences as a trans woman in ultimate. Without that, I wouldn’t have been good enough or in the right places to be included, and wouldn’t have made the kind of remarkable connections I’ve had because I made myself a part of the broader ultimate community. So I’m thankful for the Bay Area women’s teams, and especially Nightlock, for giving me a chance, even if it was for only a weekend. 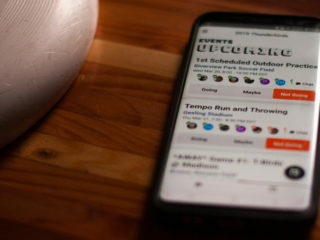 I think in general it would be useful to make more links like this between smaller and larger ultimate communities going forward, especially as the sport grows, to ensure resources like coaching, workshops, and tryouts are accessible for everyone who wants to play. Over the last year, a lot has changed for me, but one thing that hasn’t is the consistent acceptance I’ve felt in the ultimate community. Whether in Reno, the Bay Area, or online, I’ve received basically nothing but welcome and acceptance, and that continued in my tryout experiences this year. Everyone was and has been great throughout the tryout process, and I’m feeling good entering my second club season and second year out as trans. 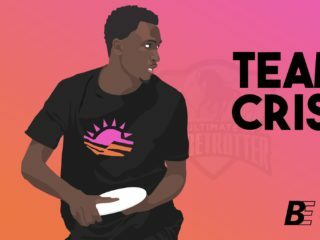 Overall, I’m excited for both myself and ultimate going forward, as I look to grow with Cutthroat and watch the development of trans inclusion in ultimate. Although USAU has still not made any moves towards further trans inclusion, other organizations such as DiscNW and DiscNY among others have picked up the slack towards making ultimate more trans and non-binary inclusive. I’m really encouraged by the work that I’m seeing done by individual communities and individual people, and can’t wait to see how we all make ultimate more inclusive in the future.